A third of working-age families report that they have nothing whatsoever saved up for retirement. Over a half of working-age families have something set aside for retirement, but it totals under $1000. It’s true that the demands of daily living and paying off debt often take center stage when we’re planning our finances, but retirement planning still needs to be a priority. Most people think of retirement planning as simply stowing money away in a 401(k). However, there’s more to it than that. Retirement planning can also include investments that will pay out as you age, prioritizing accounts, and investing in insurance and legal documentation that will protect your assets and your lifestyle. Retirement planning means that you have a plan in place for medical problems, bankruptcy, market fluctuations, etc. Revenue streams can come from rental properties, business assets, in addition to interest payments on savings. Often, calculating your prospective cost of living against your incoming revenue streams is more complicated than it seems at first glance. Factoring in inflation and overhead costs of income revenue streams can put families in a more precarious position for retirement than they had thought. The most important step of retirement planning is identifying your goals, which can be varied and subjective. An acceptable standard of living for you might be different from the acceptable standard for your cousin. Everyone needs different things in order to feel comfortable. However, most experts set a baseline estimate of 80%. 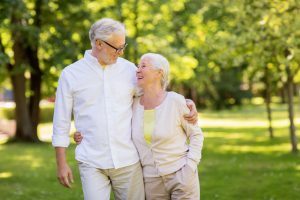 During retirement, your income (provided by interest rates on savings, property investments, and business investments) should add up to about 80% of what you need now to live comfortably. If you don’t live in the income bracket that sets up trust funds for grandchildren and uses a summer home as a tax haven, you might think that retirement planning isn’t important for you. Here at Layton Wealth Management, we beg to differ. Everyone has both the ability and the responsibility to save for retirement. It’s not a luxury, but a necessity. If you think it’s outside of the realm of possibility for you, then it’s time to sit down with a financial advisor and settle on a plan. We can help you budget and find a practical path to significant retirement savings. Give us a call today at 801-784-2448.